In one of the poorest parts of rural New Hampshire, teenage girls have been disappearing, snatched from back country roads, never to be seen alive again. For seventeen-year-old Marjorie Richards, the fear raised by these abductions is the backdrop to what she lives with her own home, every day. Marjorie has been raised by parents so intentionally isolated from normal society that they have developed their own dialect, a kind of mountain hybrid of English that displays both their ignorance of and disdain for the wider world. Marjorie is tormented by her classmates, who call her "The Talk-funny girl," but as the nearby factory town sinks deeper into economic ruin and as her parents fall more completely under the influence of a sadistic cult leader, her options for escape dwindle. But then, thanks to a loving aunt, Marjorie is hired by a man, himself a victim of abuse, who is building what he calls "a cathedral," right in the center of town. Day by day, Marjorie's skills as a stoneworker increase, and so too does her intolerance for the bitter rules of her family life. Gradually, through exposure to the world beyond her parents' wood cabin thanks to the kindness of her aunt and her boss, and an almost superhuman determination, she discovers what is loveable within herself. This newfound confidence and self-esteem ultimately allows her to break free from the bleak life she has known, to find love, to start a family, and to try to heal her old, deep wounds without passing that pain on to her husband and children. 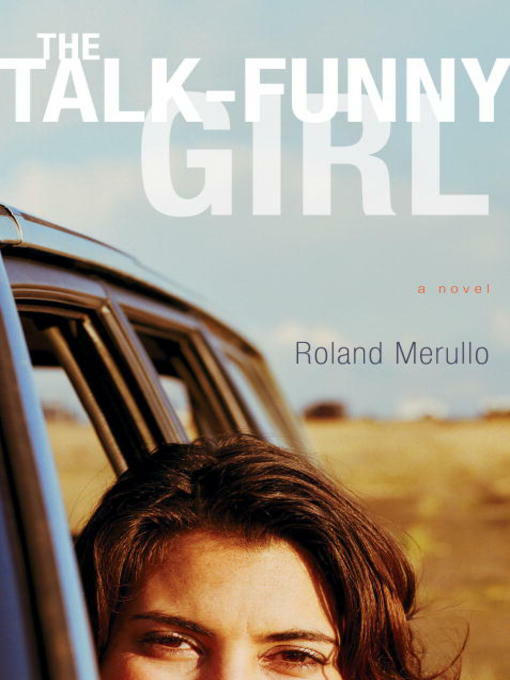 By turns darkly menacing and bright with love and resilience, The Talk-Funny Girl is the story of one young woman's remarkable courage, a kind of road map for the healing of early abuse, and a testament to the power of kindness and love.